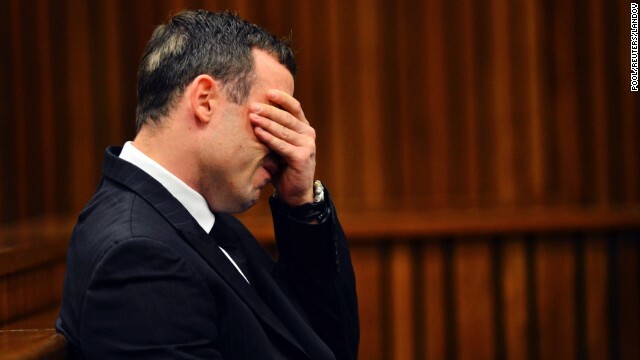 An Australian TV network aired footage of Oscar Pistorius re-enacting the night he killed his girlfriend. The House speaker says he'll see President Obama in court. TSA wants your electronic devices on. And Israeli police arrest several in the killing of a Palestinian teen. It's Monday, and here are the 5 things to know for your New Day. House speaker vs.President: In an exclusive editorial to CNN, House Speaker John Boehner outlined his reasons for suing President Obama. Boehner says the House is planning legislation this month that would authorize it to file a lawsuit to compel Obama to follow his oath of office. Obama's response: "So sue me." No power? No go: The Transportation Security Administration says it may require security screeners at overseas airports to ask U.S.-bound passengers to turn on their electronic devices to prove they aren't explosive devices. The agency won't allow devices without power on board planes. Unintended haul: Heaps of baby photos, fitness selfies, medical records and resumes are among thousands of private communications scooped up by NSA spy programs. Edward Snowden provided the Washington Post with a batch of intercepted conversations. Most of the information was from Internet users caught up in the sweep by communicating with a federal target, among others. A question worth pondering: if Snowden can take 160K emails without NSA having any idea he did it, how reliable are these agency "controls"? Re-enactment video leaked: Video of Oscar Pistorius re-enacting how he says he killed his girlfriend was illegally obtained by the Australian television network that aired it, a lawyer for the former Olympian said. But the network says that isn't so. Channel Seven included the video in an hourlong report on the case against Pistorius, who is on trial for murder in the February 2013 shooting death of Reeva Steenkamp. Arrests and outrage: Amid simmering tensions between Jews and Palestinians, Israeli authorities arrested several people yesterday after a Palestinian teenager was beaten and burned in a Jerusalem forest. Days after the teen's death, his cousin, Tariq Abu Khdeir, 15, was severely beaten by Israeli security forces in an incident captured on video. Dream shattered: Brazilian footballer whose World Cup run was cut short by a fractured vertebrae posts an emotional message to his fans. Bugging the bug: No one seems to know why ink is deterring this bug but it’s strangely hypnotic. Baaaaaaad chair: Goat's determined to master this inflatable chair. "No one seems to know why ink is deterring this bug" Really? No one? Probably a few million people that have taken a college biology class can explain. Some pen inks have compounds that are similar to pheromones that are produced by bugs. These pheromones can deter or attract certain bug species (depending on the type of ink, pen, etc.). The pheromone-like compounds in this pen ink seem to be similar to natural pheromones indicating danger, and therefore making the bug turn around. When I was in an insect ecology course, we saw termites follow lines drawn in blue pen ink. So sad to see Neymar's dream end so abruptly and painfully. I sincerely wish him a successful and speedy recovery. TSA requiring people to turn on electronics: Nothing new. They have been doing it sporadically for years. The functionality test really does nothing, however, because a clever and determined criminal can easily work around it.